It seems that the artifacts (Silver Elephants) are placed in different locations. I've finished the Croft Manor 4 times now, and I've seen some differences. There are 3 in the maze. Two can be seen in this picture, near the cross and the statue. 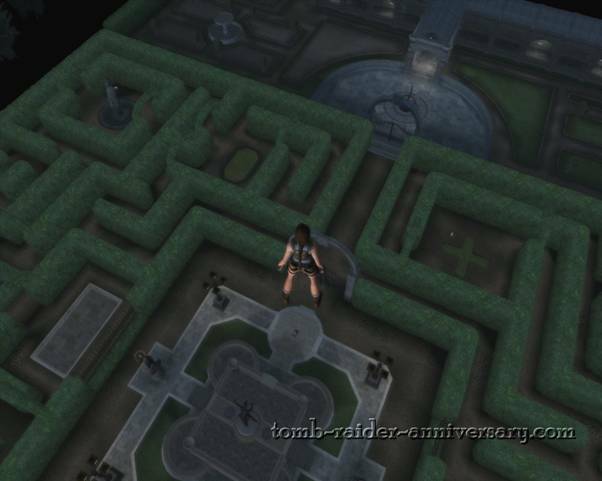 The third can sometimes appear at the opened entrance in the opposite side of the maze. This diference appears simply because when you picked them up first, they won't appear unles you start a new profile.